Ramarama Studio released the new Mr. Yolk Baby Maru version at the Art Toy Thailand 3 event over the weekend in Bangkok. The new edition has a spicy vibe with a red, demon egg design. Baby Maru is limited to 30 pieces, with ten released at the event and an online drop coming soon. 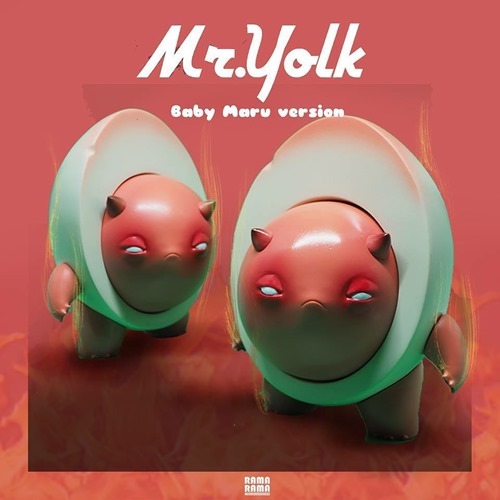 This appears to be the 4th Mr. Yolk, following the Original, Ludan, and Raw editions. While the fun character design is engaging, the playability with the removable Yolk adds considerably to its appeal. Surprise! 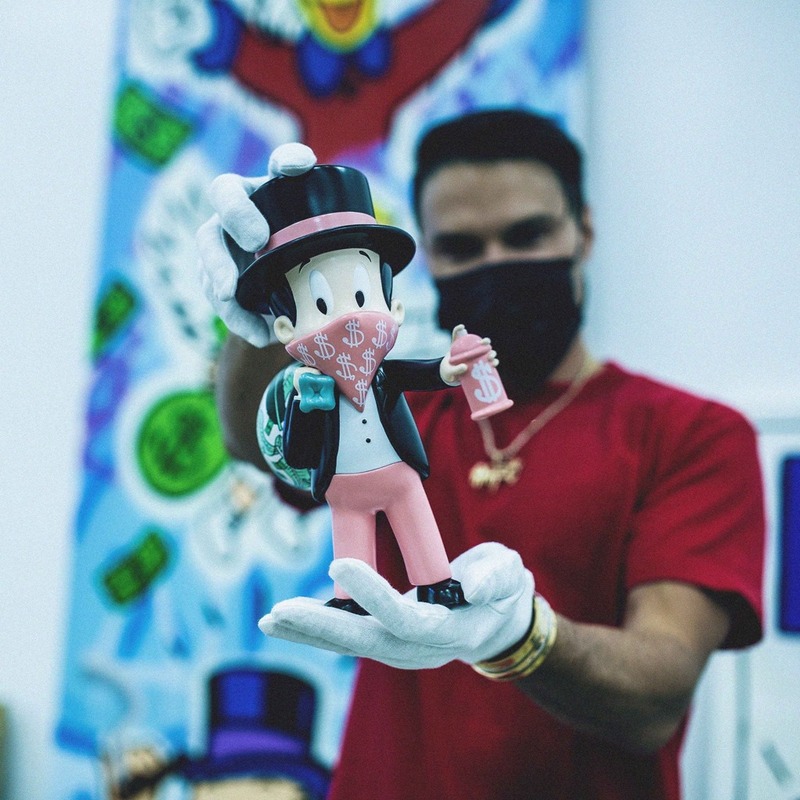 LA-based street artist Alec Monopoly released his first art toy—BH Monopi—on Monday (11.26). Done in conjunction with the Beverly Hills hotel, hence the ‘BH’, the figure has since sold out. Limited to 400 pieces, the 10” vinyl figure was offered for $700. This first edition features a pink + black design with light green money sack and comes in a ‘Beverly Hills Soup’ oversized can-style package. The deco is a mix of paint and ‘hydro-transferred paint’—the latter is presumably in place of traditional pad printing. 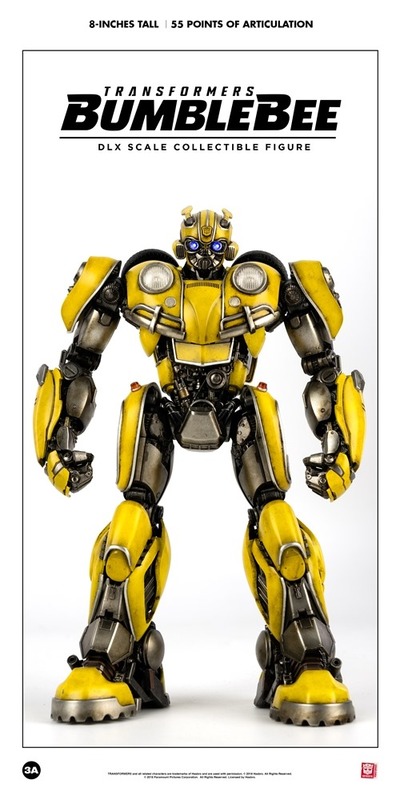 With the Bumblebee movie set to debut in about three weeks, 3A has announced their officially licensed Transformers: Bumblebee DLX 8”figure in conjunction with Hasbro. This is the first of 3A’s new DLX scale figures which feature mixed materials including die-cast parts and the extreme articulation, hyper detail and paint effects the brand is known for at a smaller size and more affordable price point. Bumblebee DLX features 50+ points of articulation, partial diecast metal construction and light-up LEDs at the smaller 8” size. The ever-popular Transformer comes with a garage’s worth of parts for flexible display—Battlemask and Standard heads, Standard or Stinger Blaster right arm, Folded and Open back wings, 3 sets of interchangeable hands (Fists/Relaxed/Action) and an stylized action stand + base. Bumblebee DLX is available for pre-order from Bambaland for $145 which includes worldwide shipping. The figure is slated to ship in Q2 2019. Nathan Cleary is ready to unleash the biggest ‘nade of them all. At 20” the multi-personality Frankenbob dwarfs his original Spongrenades and even the 8” SpongeBomber. Part Bob, part Patrick, part grin, Nathan’s building these large-scale Weapons of Mass Confusion to order from 36 individually crafted resin components. Shown above as a digital mockup and after the jump as a work-in progress, Frankenbob is limited to an edition of ten and available for £1999 (~$2550) from Nathan’s armory which includes worldwide shipping. Each Frankenbob ships in a wood crate with a signed and numbered COA as well as guaranteed double-takes and ear to ear smiles. Please allow 2-3 months for production. 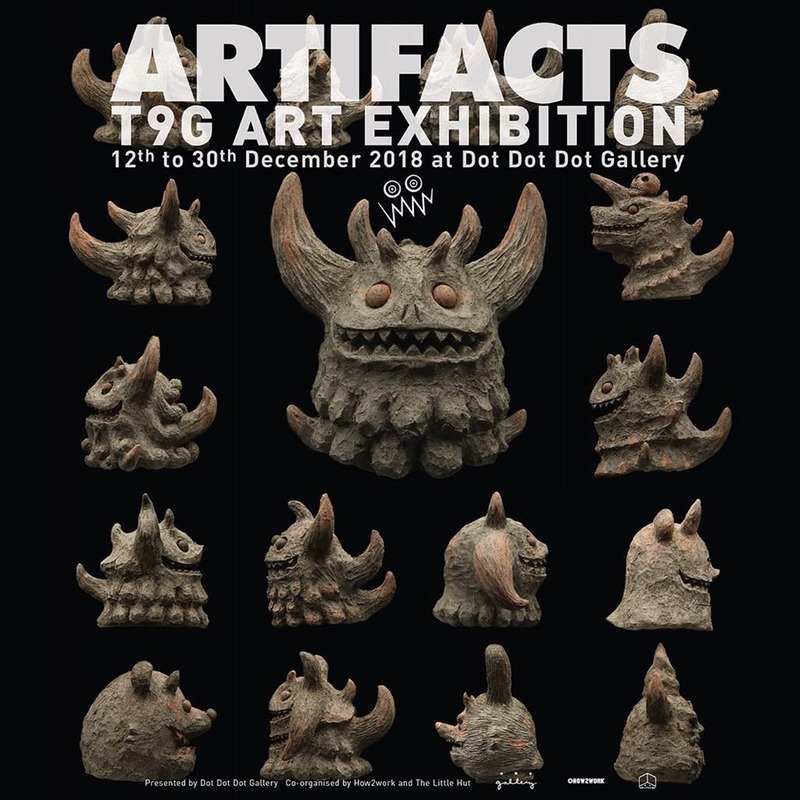 T9G will open his new Artifacts solo on Wednesday December 12th at Dot Dot Dot Gallery in Hong Kong. For this special exhibition, T9G will unfold his kaiju vision with thirty new sculptures and related sketches. From the teaser image, we’re expecting a family tree of sorts including Rangeas’ ancestors and more—presented in an unearthed history, fossil-style presentation. If you’ll be in town for Toy Soul (12.14 – 12.16), this is a must-do. If not, Vinyl Pulse will be on-hand at the opening to bring you coverage of the new collection. Hit the jump for WIP pics. Mighty Jaxx is taking pre-orders for the new Maneki-Dino Red edition vinyl figure from Juce Gace. The red, white and blue + silver accents design of the 8-bit dino x lucky cat mashup follows the green+white OG edition (April ‘18). Limited to 150 pieces, the 8” figure is available for pre-order for $119 from the Mighty Jaxx shop. Orders placed before December 2nd at 6 PM PST will arrive by December 31st 2018. 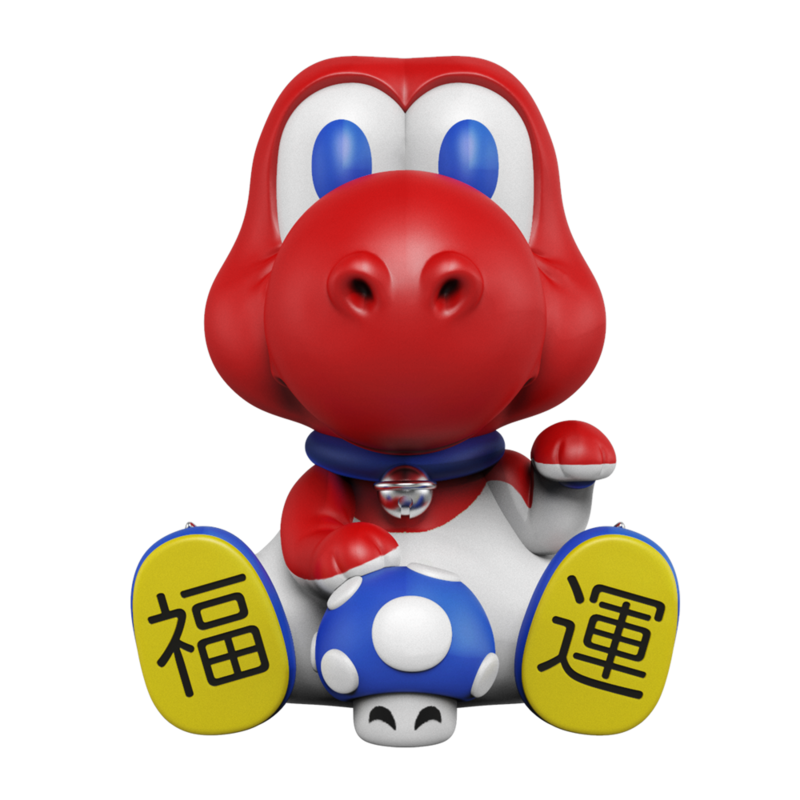 A bearer of good fortune, Maneki Dino’s design incorporates elements of wealth including a silver ingot on his back and coin-shaped Dino spikes on his head. The Chinese inscriptions of Prosperity and Good Luck on the feet round out the design intent. Celebrating the acquisition and upcoming installation of the 21-foot Clean Slate bronze sculpture (2018) by KAWS, The Modern Art Museum of Fort Worth has announced the upcoming release of the Clean Slate open-edition vinyl art toy. Featuring a Companion carrying two smaller Companions—one in each arm—Clean Slate (14”) will be released on Sunday December 9th 2018 at 8 AM PST—the day of the bronze sculpture reveal—from The Modern Shop in three editions (Gray, Black and Brown) for $480 each. 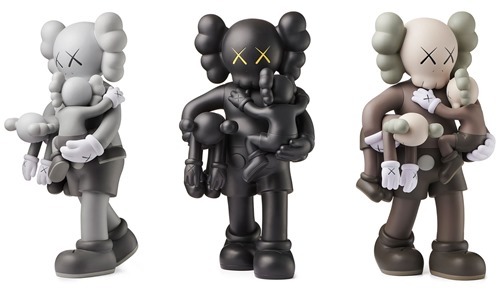 The large Clean Slate bronze and art toy are The Modern’s latest work with KAWS and follow 2012’s Where The End Starts exhibition held at the museum. 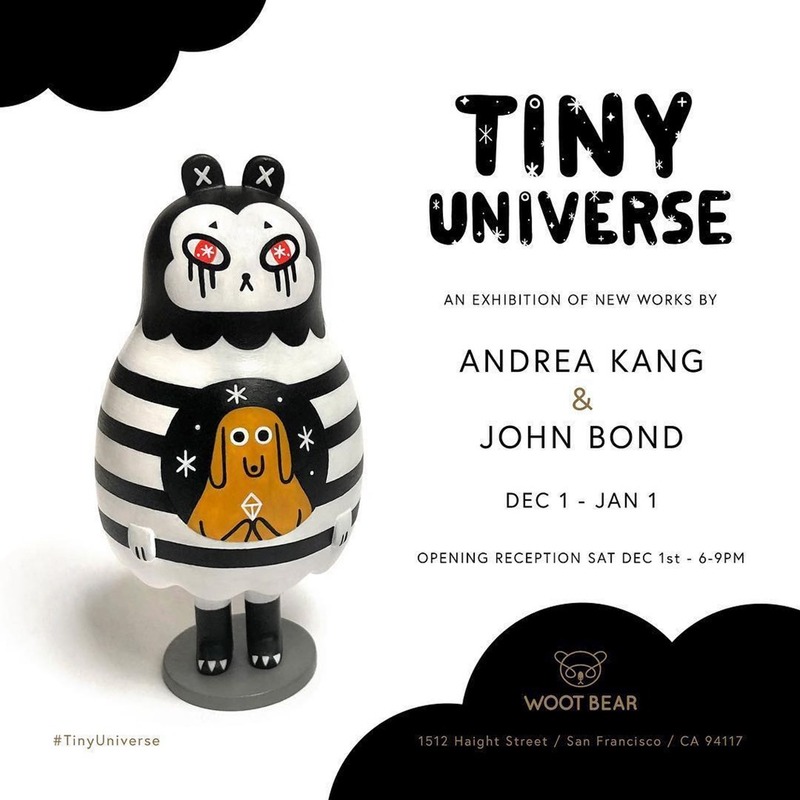 Andrea Kang and John Bond will open their 2-person show, Tiny Universe, tonight (12.1, 6-9 PM) at Woot Bear in San Francisco. The collection of new work will feature original paintings from both artists as well as several Wish Maker figures from Andrea Kang. Both artists have complimentary styles, reflecting curiosity in their characters and sparking it for viewers. 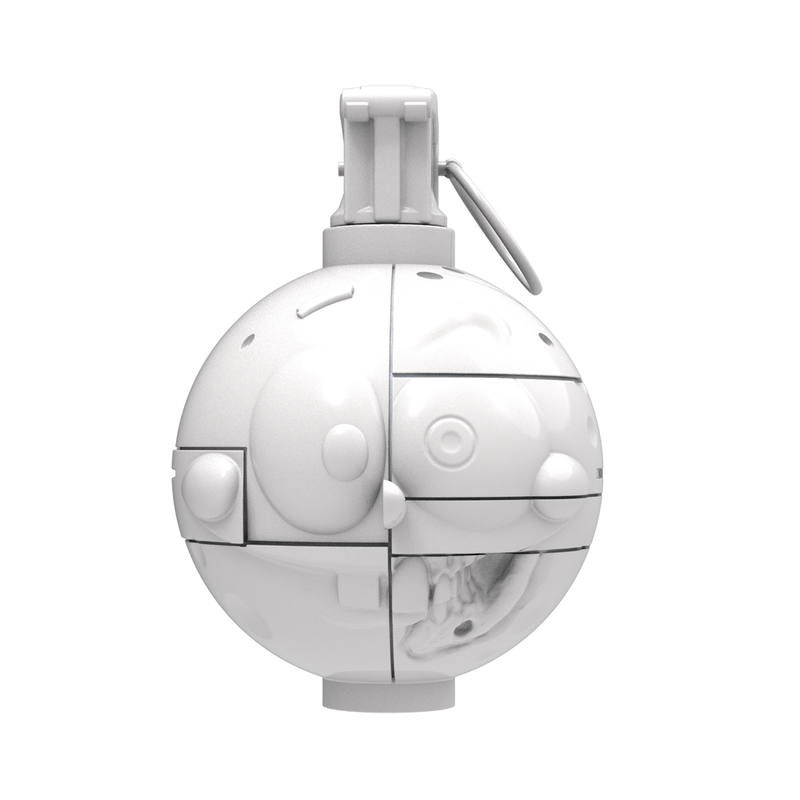 If you’ve been waiting on the online drop for Darkstar Grin, which debuted at DCon, it’s almost go time. Toy Tokyo will release Ron English’s Vader take on Sunday (12.2) at 7 AM PST for $399/blind bag from their online store. As shown above, the release includes three variants — standard (left), Gold (center) and Silver (right). 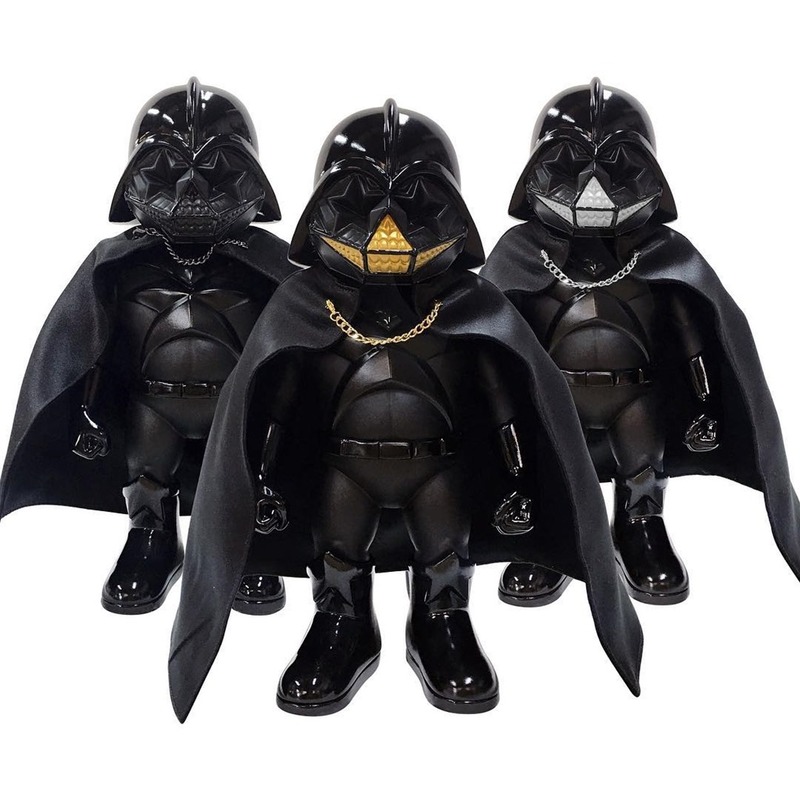 Produced by longtime collaborators Made by Monsters, Darkstar Grin pays homage to the dark side with a deluxe treatment featuring not only a stylized grin but also English’s hollow star eyes featured in his previous standalone Star Skull pieces. The design echoes Vader’s path and fate.